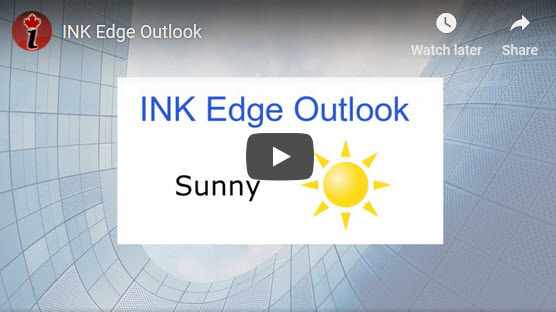 We have updated the April INK Edge rankings on Canadian Insider today, Monday, April 15th. The rankings are as of April 1st. Our next free update will be May 15th. Below, Canadian Insider basic account holders can also learn how to upgrade to our research club for a very low rate via our Easter week offer. However, Canadian Insider research club members do not have to wait until May 15th. Stock rankings are updated daily in INK company PDF reports and Canadian Insider Club members can download up to 30 free company PDF reports each month. Now, here is some good news for Canadian Insider basic subscribers. For one week only, you can join our exclusive Canadian Insider research club for the equivalent of C$9.99 per month (plus tax). That is based on a C$119.88 annual fee. As a member, you will get a lot more than 30 free PDF downloads a month. Every trading day you will also get the INK Morning Report delivered straight to your inbox. Members also receive the weekly INK Market Report, as well as the monthly Top 40 Stock Report, Top 30 Energy Stock Report and the Top 20 Gold Report. These reports can really pay off. We featured insider buying in Cantex Mine Development (CD) on March 20th in the INK Morning report. The stock has had a big move, up more 150% from report date as of Friday. While not every morning highlighted stock will turn out to be a quick win like those above, you can count on every INK Report to be based on information you can trust as INK does not accept payments from issuers or their promoters for stock coverage. When we launched CanadianInsider.com in 2004 as an alternative to our INKResearch.com premium subscription service, it was to put insider filings within reach of all investors. Over time, we have continued to add more features to the Canadian Insider site, including being the first to provide free-to-air Canadian stock quotes. To help investors put insider filings in context we also added charting, company news, and valuations. Context is critical. With thousands of insider filings in Canada alone, determining what is important and what is noise can be the difference between a big win and an expensive flop. Unfortunately, with rising data costs, we are constantly challenged to maintain the full suite of free services that we currently provide. Google advertising helps, but those ads you see on the website do not come close to covering data and other charges. Going forward, our priority will be to provide enhancements and value-added services to Canadian Insider Club members and INK Research premium subscribers. That is just one more reason why I urge you to take advantage of our special Easter offer to join our research club for a remarkably low price of just C$119.88 per year. To take advantage of this sale, enter coupon code CINCLUB right before you complete the upgrade from the basic subscription level. Our system will recalculate the price to only $119.88. By joining with us, not only will you be getting access to premium INK Research PDF reports, but you will also enjoy an ad-free experience. Most importantly, by joining the Canadian Insider Club, you will continue to have access to the key features of the site that you enjoy now, plus more enhancements to come. For example, soon we will be providing intra-day updates for Canadian insider filings. So, don't pass up the opportunity to join our Canadian Insider research club today and get more than 60% off our membership rate.